The five-door All-New Arona, a front-wheel-drive only SUV, is well placed in this highly popular sector of the car market. It’s available with a choice of six engines, with both the diesel and petrol variants offered in either 95PS or 115 PS form, and the sporty FR 1.5 TSI EVO leaping up to 150 PS. Six trim levels start with the SE that, with the 95 PS 3-cylinder engine and 5-speed manual gearbox, can be had for £16,555. A unique selling point is that the choice of metallic body and roof colours is standard at no extra cost across the whole range. Topping the range is the Xcellence Lux 1.6 TDI AT £24,235. 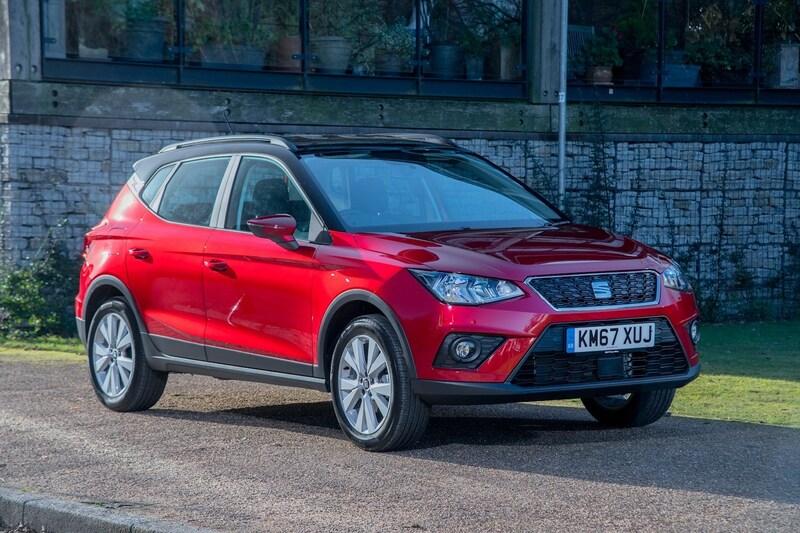 Smart looks, both outside and inside — ‘edgy styling’ as SEAT describes it — catch the eye, although if set against the myriad compact SUVs to be chosen from, you could say the same about most of the Arona’s competitors. Yes, it’s tough out there, all to the benefit of potential buyers, of course, who can certainly arrange some deal not too closely based on the official pricing. The test car was in Technology trim, had no options and priced at £17,545, but with the 95 PS engine, rather than the 115 PS that will be the best seller (in FR trim). It was just about lively enough (0-62 mph in 11.2 seconds) with the three cylinders happy to rev hard for acceleration or to overtake, giving that distinct exhaust note but otherwise quiet on tick over and quite refined. Seventy or so miles in and around Cambridge ended with the trip computer displaying a return of a reasonably good 43.3 mpg. The official combined figure, for comparison purposes, is 57.6 mpg. The manual six-speed gearbox was a pleasure to use, light and precise and in perfect harmony with the clutch pedal. The suspension was supple and the seats well-designed, so the car proved to be comfortable to ride in. The SEAT Arona, which is entirely Spanish designed and built, appears to be well put together with good quality materials. I would like to see grab-handles fitted and noted that the handbrake was on the passenger side of the console. Although the Arona is the smaller type of SUV, rear space is quite good and better than in some competitors, so, if adults are to be regular occupants there, it’s a good idea to test your possible purchase of such vehicles by making sure to try the back seats out. The boot also offers a fair amount of capacity and it’s the easiest of jobs to fold the rear seats flat for extra stowage. Further points for consideration are the standard features that are sometimes options with other makes. One example is city braking for that extra peace of mind in heavy traffic against that unexpected possible nasty incident. Of the Arona range, the cleanest is the 1.6 TDI at 105 g/km, while the fastest is the 1.5 EVO that gets to 62 mph in 8.3 seconds. Automatics, VAG’s super 7-speed DSG, are available at every trim level across the range, except in the EVO, at varying price increases of at least £1000 and up to £1400. Satellite navigation is on all models, except the basic SE, so your smart phone is the answer there. 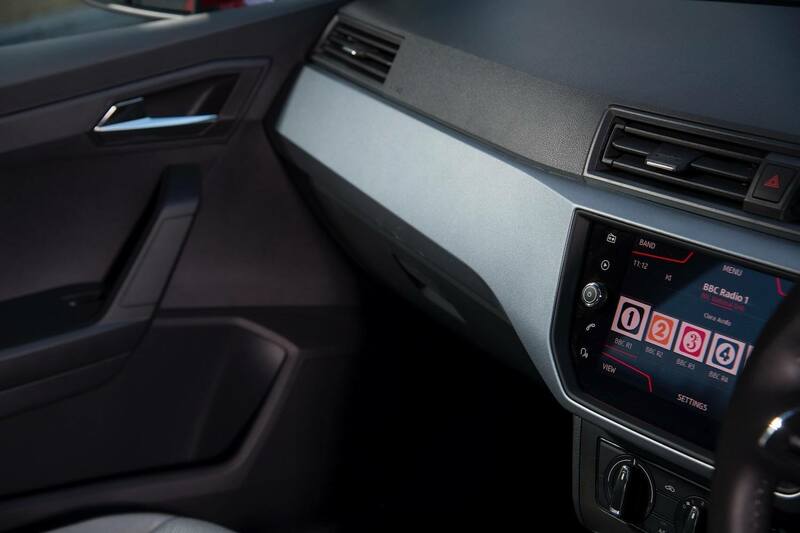 If that’s not enough, then your Arona search starts one further up the trim level with the SE Technology as in this report; this has an 8-inch colour touch-screen and Full Link (MirrorLink, Apple CarPlay and Google Android Auto) plus two USB ports, wireless charger and more. The Technology version also has rear parking sensors — always useful, even though visibility out of the Arona is quite good all round. All that adds up to £990 more. The Arona will sell well, with the SEAT company already on something of a sales roll at the moment with their smart, refreshed dealerships. As part of their sales pitch, they might also point out that the SEAT Arona has residual values (RVs) which are class-leading.